Should Wisconsin Uber/Lyft Drivers Have Insurance Concerns? You look at your calendar and realize that you have, on average, three free evenings per week. You look at your checkbook balance and realize that some extra income sure would be nice. You look at your driving record and realize that you obey the traffic laws. You’re a good candidate to be a driver for a ride-hailing service like Uber, Lyft, or Sidecar. As you think about moving from the idea to the reality, bear in mind some insurance issues. 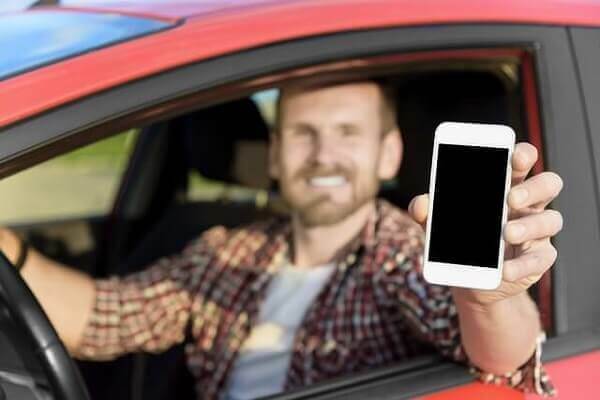 As you contemplate being a ride-hailing driver, bear in mind that insurance companies are only beginning to catch up with the practical realities at play in ridesharing. That’s because, in the past, insurers have generally written only two types of policies: Personal and commercial. When you drive for Uber, Lyft, or Sidecar, your activities can move from personal to business and back again several times each day. Your personal insurance company may tell you that it hasn’t agreed to insure you against commercial risks. Stage 1: The driver is not logged in to the ridesharing network. For this stage, Uber, Lyft & Sidecar provide no insurance coverage at all. Ordinarily, the driver’s personal insurance would cover any accidents and damage that occur in this stage. Stage 2: The driver has logged in and is waiting for a ride request. Here the coverage offered by the companies varies a bit between the companies and varies also based on the state where the driver lives. The important issue here is that coverage is secondary. That is to say that the ridesharing company’s insurance pays only for losses not covered by the driver’s personal policy. Stage 3: The driver is en route to pick up a passenger or actually transporting the passenger to the destination. In this stage of the process, the three major ridesharing companies provide commercial liability insurance with a $1 million limit. They generally provide contingent property damage coverage for the driver’s car. They provide some limited bodily injury coverage for the driver. Depending upon the language of your policy, note that some insurance companies may balk at paying claims for ridesharing drivers, even in Stage 1 discussed above. Many policies exclude coverage for business use of the vehicle. They may contend that even though the auto is used for personal purposes, it is primarily a commercial vehicle. The annual premium for many commercial policies can run into the thousands of dollars – which is much more expensive than a personal policy. Some insurance companies are now offering hybrid policies or endorsements/riders that provide the necessary coverage for ridesharing drivers, and at a reasonable cost. Do your research here, however. Your current company may not offer the coverage; you may need to switch insurance providers. Many experts suggest that you contact an independent insurance agent, who can help walk you through the issues. Insurance coverage is just one of a number of practical, legal issues that should concern the owner/operator of any small business. This is an area in which the old saying applies: “An ounce of prevention is worth a pound of cure.” That is to say avoiding legal issues can save money in the long run, but the business operator generally needs the counsel of an experienced attorney. The Kerkman Wagner & Dunn, a Milwaukee business litigation firm with more than 50 years of combined legal experience representing business owners in Wisconsin, is ready to assist you. Our firm has big firm talent and provides small firm attention. Call us at 414-278-7000 or complete our online contact form.